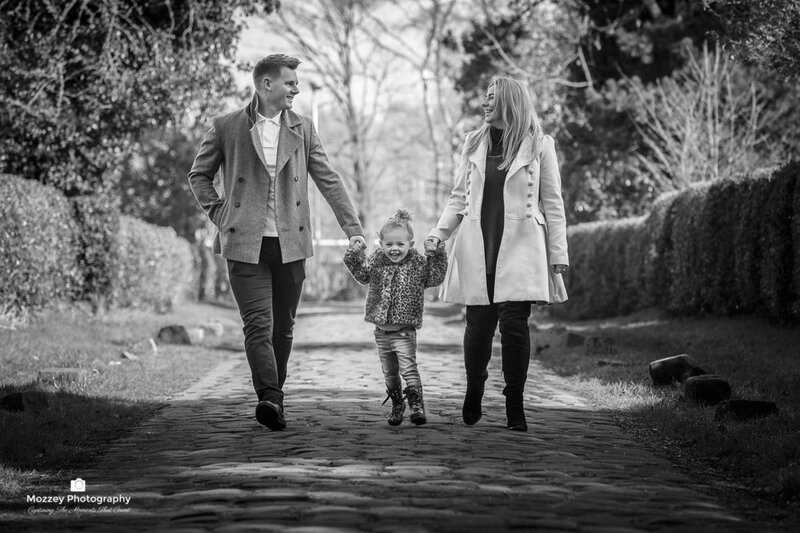 Here at MOZZEY PHOTOGRAPHY, we understand the importance of choosing the right photographer for the biggest day of your life, this is why we offer a FREE in-depth consultation that will allow you yo plan out your vision and expectations that will enable us to deliver on time, first time!. Our wedding packages start at £800 which offers great value for money, but we can also customize out packages to suit your bespoke need, whether it be a nice intimate registry office ceremony, or a royal occasion, be sure to drop us a message HERE and we can give you a quote accordingly, best of all completely free of charge with no obligation and no hassle! Prices vary depending on items, Available on request! Outdoor portrait sessions, are perfect for people wanting some reportage or lifestyle images, doing something in there favorite location or place. You can bring your other half’s,children, and even family pets (providing they are allowed in the outdoor areas). We can go though some candid moments (not posed) and also posed shots if you wish, this will be your shoot, so it will be completely your choice of the type of images you will receive. The outdoor session are perfect for the summer months, making the most of your experience. CD or USB with 6 of your selected images on, in high resolution! Whether or not your an up and coming model looking for some new images to set off your modeling career, or just the everyday person with no modelling experience, this is for you!.It doesn’t matter if your a man or woman we will make you look and feel your best, producing stunning images you will look back on with great happiness in years to come. If its something you have always wanted to do , or have been thinking about doing something similar for sometime but are still a bit unsure or self-conscious, then we cannot recommend the amount of confidence you will gain by the end of the shoot, that in itself is a transformation, not to mention the incredible images you will be receiving, you can be assured that we can cater for all your requirements and expectations. For His & Her Eyes ONLY! Pregnancy Announcement & Maternity Shoots! IF THE SERVICE YOU REQUIRE ISN'T LISTED, THEN PLEASE GET IN TOUCH, WE DONT BITE!